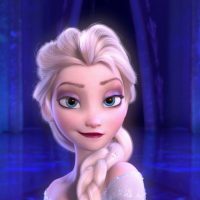 (LifeSiteNews) Lending credence to rumors which surfaced a couple years ago, principals involved in the making of Disney’s Frozen 2 are keeping alive the possibility of Elsa coming out of the closet as a lesbian. In fact, everyone involved with the production seems to love the buzz that speculation about Elsa’s sexual orientation is creating regarding the planned sequel. Idina Menzel, who lent her voice to Elsa in the original Frozen, told PrideSource in 2016 she was “really happy” that it was her Frozen character that stirred so much interest in the possibility of a gay or lesbian Disney kids’ film character. No one from Disney or anyone else associated with the production have gone on the record to deny the rumors. Nor are they likely to. Frozen 2: One giant metaphor for coming out of the closet? FeministCulture.com creator Alexis Isabel started the Frozen 2 campaign in 2016, sending the tweet, “I hope Disney makes Elsa a lesbian. Imagine how iconic that would be.” She signed it with the #GiveElsaAGirlfriend hashtag.